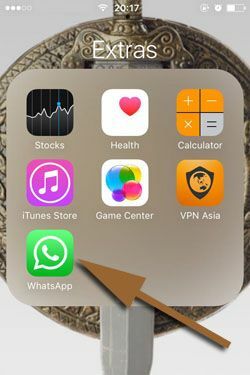 If you would like to archive a conversation on WhatsApp, you will find a guide here for iPhone and other iOS devices on here. You can check all pictures which we have provided for each steps below. Archiving a conversation is quite fast, you won’t need to spend too much time for that. 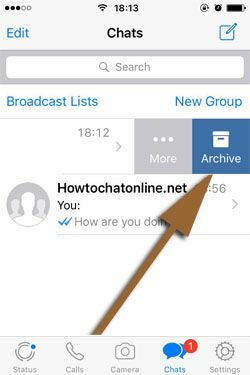 Let us begin to tell you how to archive a conversation on WhatsApp iOS. Please let us know if you have any question regarding archiving messages on the app. How to Search Archived WhatsApp Messages on Android Phone? 1-) Run WhatsApp Messenger on your iPhone or iOS device. 2-) Swipe left a conversation you want to archive. 3-) Tap on “Archive” icon. This is how to archive a WhatsApp conversation on iPhone. Now you have archived your conversation. Archiving conversation is very good for hiding a conversation at the interface of the application simultaneously for the privacy. However you don’t lose conversation with that individual with archiving conversation. Please read the next paragraph for learn how to read archived messages. You have archived WhatsApp conversation but you want to recover the conversation back now? That’s very easy, all you need to do is starting a new chat with the contact. You will see all messages back. Please see the below for step by step guide. 2-) Tap on “New Chat” icon which is located top right of the application. 3-) Search your contact and tap on his/her name and begin to talk with her/him. 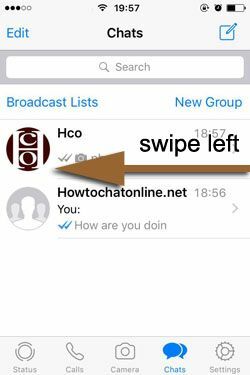 This is how you can read archived messages on WhatsApp. However if you are having problem with that, please notify us with commenting this page. You can scroll/swipe down to reach comment section. Hello How to Chat Online! I would like to recall some conversations with some people. I have some keywords. How do I search archived content on the app? I am using Android and I have Samsung Galaxy A8. Thank you very much for your responses. Thank you for the kind attitude in the question. We have prepared a guide which will help you about your problem. You can always search your archived messages and conversations on WhatsApp and you can easily do it on Galaxy A8. This is what we use in our guides on How to Chat Online too. So that will be a perfect guide for you to search your content on the application. However let’s give you the brief info about how to search archived conversations. Actually it is same with normal search at all.